To schedule your exam and consultation for cosmetic dental services, contact Grand Lake Dental today. We work with our patients to help them understand possible aesthetic improvements. . Patients can look through a smile gallery book at our office to see examples of the services that Dr. Jobst provides and the effects they can have on their smiles. In addition to the purely cosmetic benefits, many of the aesthetic services we offer preserve and restore the health of the smile while complementing or actively improving its beauty. Prior to treatment, we can even provide you with wax mockups of your smile. These models demonstrate potential transformations, and allow us to effectively educate patients on the cost and results of their options. Teeth Whitening: Many patients are surprised by how significant an effect the simple act of brightening their smile can have. 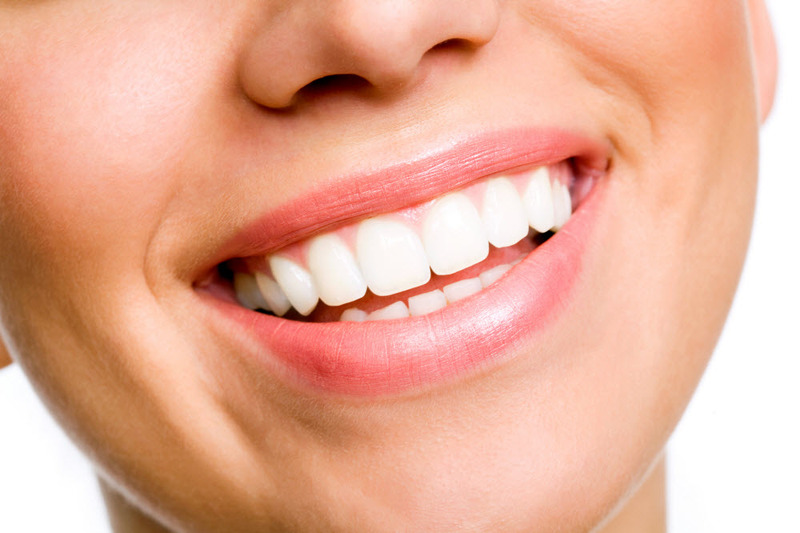 At Grand Lake Dental, we offer patients topical teeth whitening to return the natural luster of their teeth. Veneers: Thin shells of dental porcelain, veneers are able to correct a variety of cosmetic flaws, including spacing, discoloration, and shape. With minimal preparation, this service can help patients smile with renewed confidence. Read more about this cosmetic treatment on our veneers page! Tooth-Colored Fillings: As a cosmetic dentist, Dr. Jobst uses composite resin when restoring minor sites of decay. Resin fillings can be matched to the shade of your teeth, allowing us to restore your smile without the noticeability of metal fillings. Porcelain Crowns: If you have experienced more significant decay, require a root canal, or have cracked a tooth, porcelain crowns are a great method of preserving the natural health of the tooth without giving up your smile’s aesthetic. Dr. Jobst uses full ceramic and zirconia to ensure that restored teeth look natural, as well as providing the necessary structural support to chew. Fixed Porcelain Bridges: In order to replace gaps in the smile from one or more missing teeth, our practice uses fixed porcelain bridges. These restorations look like natural teeth and can provide balance to your bite. If patients receive care such as extraction or emergency treatment, Grand Lake Dental provides durable and aesthetic temporaries. These temporaries are great at ensuring the immediate function of your bite, and help patients to maintain their confidence until the final restoration has been fabricated and placed. If you are looking for cosmetic dental care backed by experience and numerous successes, contact Dr. Jobst and our team at Grand Lake Dental today. Our Grove cosmetic dentist is dedicated to providing quality restorative care to new and existing patients.